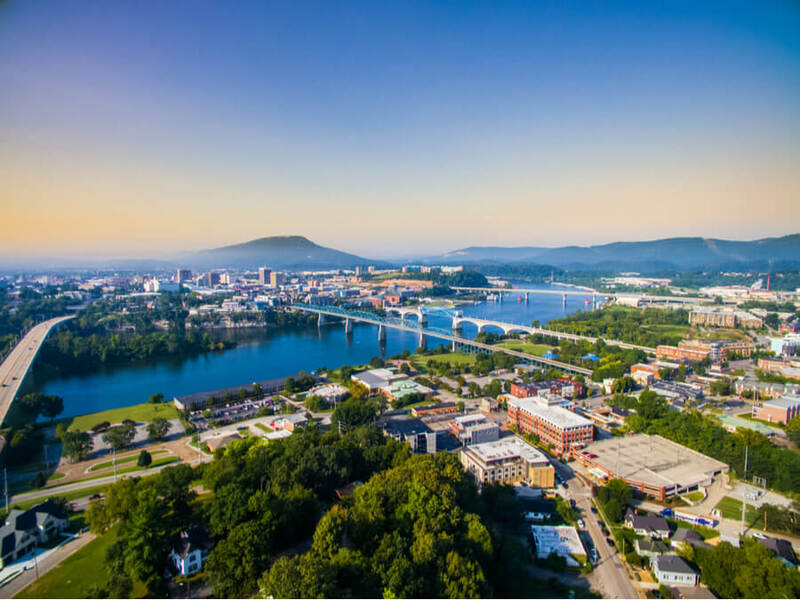 Council for Alcohol & Drug Abuse Services, located in the city of Chattanooga, Tennessee was founded by a group of businessmen and clergy in 1964 who felt a calling to assist individuals suffering from addiction, substance dependence, and co-occurring disorders. The non-profit facility provides quality treatment programs for adults and adolescents struggling with substance abuse, chemical dependence, and mental health issues and has been doing so for decades. The center provides a well-rounded continuum of care for its clients and aims to address the mental, emotional, and physical components of an individual’s life. CADAS offers educational services such as a DUI school and prevention training for teens. The purpose of these courses is to help educate persons about substance addiction and its psychological effects and also equip teenagers with the knowledge and coping skills necessary to make better choices. The facility offers assessment and a medical detox program. The former helps clients to make informed decisions about necessary treatment plans while the latter provides a medically-monitored environment for minimalizing withdrawal symptoms. A Family Way program is available to accommodate the special needs of pregnant mothers and women with children in need of treatment. The center offers different residential programs for adolescents and adults, an intensive outpatient program, and a transitional living facility. The center offers separate residential locations for adolescents and adults. The 28-day adult residential program is operated at a 56-bed adult facility located in a serene, natural environment. Each room has its own bathroom and can accommodate up to four individuals. The adolescent program located at The Scholze Center can accommodate up to 40 individuals and is open 24/7. The transitional living program operates twelve furnished duplexes and accommodates pregnant women and mothers with children in need of treatment. Oasis, the facility’s sober living center for men and women, is a 38-bed recovery facility capable of housing 13 women and 25 men at once. Personal electronic devices such as mobile phones are prohibited at the facility although clients are given access to a payphone in the communal area. The facility has no pools or gyms but provides a TV set in the common area for entertainment. Meals are usually traditional and are prepared in the facility’s cafeteria. The meals served include fruits and vegetables, dessert, and meat. Although the facility provides milk and tea, the vending machines available provide additional beverages and snacks. The center offers a medically-monitored detoxification program for individuals going through recovery and experiencing withdrawal symptoms and/or other medical complications. The program is designed to be safe and clients are treated with cutting-edge medical strategies. The center offers a residential treatment program for adults and adolescents. The adult program may last up to 28 days while the adolescent program may take up to 45 days. The programs offer group therapy, counseling, recreation, motivational interviewing, and much more. The intensive outpatient treatment level of care allows individuals to live at home and go to work or school while still receiving treatment. Three sessions are attended weekly and clients will be involved in individual therapy, drug screens, 12-step meetings, and a lot more. Council for Alcoholic and Drug Abuse costs approximately $18,000 for a 30-day program and a $600 daily rate for a maximum of 28 days depending on the program a client is registered into. Clients are advised to contact the facility to inquire about payment plans and other information. The facility is accredited by The Joint Commission and is a member of different associations including The United Way and Tennessee Health and Substance Abuse Services. The facility offers pet therapy to residents using a therapy dog called “Katie” which interacts with patients at a particular time. The alumni of the facility are allowed to participate in activities such as golf tournaments, Alcoholics Anonymous meetings, 5k runs, NA meetings, and many more. Although holistic therapies such as yoga, acupuncture, and massage are not available, other treatment programs such as meditation and relaxation classes are offered by the facility and client showing great improvement are allowed to go on excursions as a reward but on a recommendation from the qualified counselors. Being over 50 years old, the facility plays an important role in helping citizens of the community have abuse treatment options. The treatment center is a good option for clients with a budget but seeking treatment from administrators who treat patients with kindness. David holds a Bachelor of Arts degree from the University of Tennessee majoring in Political Science and Government. He is a member NAADAC (National Association of Alcohol and Drug Abuse Counselors). Prior to holding the position of Adult Family Counselor, he served in other positions at different facilities such as Cumberland Heights Inc. and Mountain Outfitters. Prior to working with the facility as a Bilingual Substance Abuse Counselor, she served in other positions at different facilities such as Counselor and Facilitator at Road to Recovery, Substance Abuse Counselor at Woodstock Treatment Center and Bilingual Substance Abuse Counselor at Traime Behavioral Health. She holds a Bachelor’s degree majoring in Clinical Psychology.